Fill out the HOT DEALS Order Form & start saving now! Take advantage of this sale while supplies last! Coupon applies to all items found on our 'HOT DEALS' listing while supplies last. Coupon may not be combined with any other Lyndex-Nikken incentives or promotions. 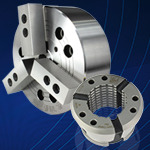 Coupon must be completely filled out and submitted to a Lyndex-Nikken distributor at the time of order - NO EXCEPTIONS! Additional coupons may be downloaded from our website or by contacting your Lyndex-Nikken representative. All sales are final and all items are subject to prior sale. No Substitutions. No substitution. Offer cannot be combined with any other promotions or incentives. Disclaimer: Lyndex-Nikken reserves the right to end this promotion without further notice. All prices are NET price each. Prices are valid while quantities last. FOB: Mundelein, IL. Lyndex-Nikken, Inc.